Select Products based in Leeds, Yorkshire is a well established, reliable and professional conservatory and orangery installer. We have many happy customers throughout Leeds, Harrogate, Pudsey, Wetherby, Horsforth, Yeadon, Otley, Bradford, Ilkley, York, Huddersfield and across Yorkshire! Discover our comprehensive range of attractive Ultraframe conservatories. Finding your perfect conservatory has never been easier with Select Products. Extend your property, create an open, spaciousness area with more natural light for a wide variety of purposes. Our extensive range of conservatories and orangeries are a cost-effective way to gain additional space and add significant value to your home. Recent advancements in technology have made modern uPVC conservatories incredibly energy efficient. This not only helps to maintain a comfortable temperature inside but allows you to consume less energy to heat the room, saving you money on your heating bills and helping the environment. Our years of experience make Select Products the perfect choice to install your conservatory. 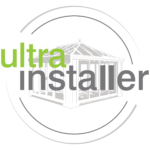 Our professional installation team provide a prompt and efficient installation service that will complete your project with the minimum of disruption to your daily life. Select Products provide stunning Victorian conservatories in Leeds for homeowners looking to maintain a traditional feel to their property. The curved bay is a unique feature that offers the classic aesthetics of this iconic design. The elegant shape of the Victorian conservatory is embellished with decorative finials stretching along the apex of the steeply pitched roof. The traditional shape of the beautiful Victorian conservatory is created with either three or five facets. This exquisite design is suitable for most types of property, whether your home in Leeds is a period property or a new build. Our Edwardian conservatories are a beautiful addition to any home in Yorkshire. A fantastic option if you’re looking to make the most of your available space thanks to their classic square or rectangular design. As practical as they are attractive, the symmetrical design provides a generous floor plan which lends itself well to accommodating furnishings and decoration. Suitable for a wide range of uses, whether it be a playroom, dining room or a cosy place to escape with a book. When you choose an Edwardian conservatory from Select Products, you’ll enjoy an additional living area to use throughout the year. The simple design of the lean-to conservatory style provides homeowners in Leeds with two fundamental advantages. Versatility and affordability. It is the most versatile conservatory design available. Perfect for terraced houses with narrow spaces and bungalows with low eaves, it works brilliantly for virtually any type of property as a cost-effective conservatory. Recreate the feel of a Mediterranean sun house or garden house with a lean-to conservatory. This sleek and stylish home improvement will connect your interior and exterior spaces with an extra room to use all year round and add value to your home. Gable or Gable-End conservatories create a bright and spacious environment you can enjoy in both Summer and Winter alike. The high apex roof and upright front faced glazing make a spectacular addition to any home. Creating a sense of grandeur with traditional decorative features such as a “Rising Sun“ pattern on the triangular, forward facing top section. This stunning conservatory design lends itself well to drawing in an abundance of sunlight, resulting in a light and open living area that offers an increased sense of spaciousness. Add a touch of class with this heritage style conservatory that will make a huge impact. Select Products can provide you with a bespoke conservatory to meet your requirements. From P-Shaped to T-Shaped we can create a conservatory that’s right for your property. By combining the versatile lean-to design with either the Victorian or Edwardian conservatory design, you create a large open area or even two additional rooms for your home in Leeds. Perfect for detached properties, or homes with a large garden area, you can create a tailored conservatory design to perfectly match your requirements and unlock the potential of your home and garden. Ask our experts for more details on designing your bespoke conservatory. Orangeries make a superior addition to any property in Leeds or the surrounding area. Combining a traditional conservatory with a state of the art house extension you can create a welcoming living space. The additional brickwork offers more privacy compared to a conventional conservatory while providing better thermal insulation for a more energy efficient home. These attractive and desirable home improvements can add value to your home and are ideal for a wide variety of purposes. From dining rooms to playrooms, entertaining areas to swimming pools orangeries are the perfect blend of elegance and function. Perhaps your existing conservatory is looking a little tired, and you’ve noticed that it get too cold in the Winter and too hot in the Summer? Then a conservatory refurbishment from Select Products is the perfect answer. Whether you would like to replace the double glazed units or merely upgrade the roof, you could breathe new life into your conservatory. Conservatory roofs have significantly improved with recent advancements in technology. You can choose between new high performance glass that filters and deflects sunlight and tiled roofs that provide incredible insulation, both of which help maintain a pleasant temperature. Select Products are experts, with years of experience installing all kinds of conservatories throughout Leeds, West Yorkshire and surrounding areas. With advancements in technology occurring all of the time, we can provide you with the very latest, state of the art, uPVC conservatory in the perfect shape and size to suit your property. Whichever conservatory style you choose, you are guaranteed superb energy efficiency levels, ultimate security features and highly attractive designs. Get in touch with us today and discover our beautiful range of home improvement products.